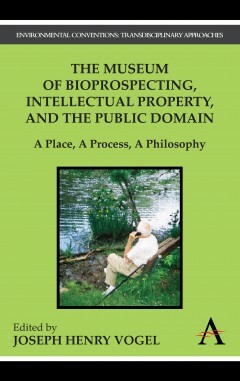 'The Museum of Bioprospecting, Intellectual Property, and the Public Domain' discusses the issue of intellectual property rights versus the public domain in facilitating access to genetic resources for biotechnology development, through a dialogue between seven fictional scholars and a hilarious octogenarian. 'The Museum of Bioprospecting, Intellectual Property, and the Public Domain' addresses one of the most heated policy debates of our day: access to genetic resources and the fair and equitable sharing of benefits. Seven scholars – an anthropologist, an economist, a sociologist, and four lawyers – discuss how a museum can flesh out the relevant ethical issues that frustrate any purely technical solution. The visitors to the proposed museum become a source of considered judgments. Commercial movies are screened and discussion follows about some aspect of bioprospecting, intellectual property, and the public domain, suggested in the films. Both the screenings and discussions occur in small amphitheatres named according to the uneven chronology in the management of information: 100,00 BC to 16 September 1787 (public domain); 17 September 1787 to today’s date (intellectual property); and today’s date to (?) (legislation sui generis). The three amphitheatres surround a courtyard café which is a metaphor for the mission of the museum: conversation. The scholars vet the blueprint before an imaginary octogenarian who is not at all impressed and will "say the damnedest things." As this 21st century Don Quixote moseys across the chapters and pokes fun at the scholarly ruminations, the reader begins to understand how the proposed museum is indeed a forum for the nuanced ethics over bioprospecting, intellectual property, and the public domain. The dialogue-within-a-dialogue is highly original and entertaining. Joseph Henry Vogel is professor of economics at the University of Puerto Rico-Río Piedras and has served as a technical advisor to the Ecuadorian delegation to the Conference of the Parties of the Convention on Biological Diversity.